Who doesn’t love a good grilled cheese sandwich? I know I do! This sandwich is certainly not the typical – have a with a cup of tomato soup – kind of grilled cheese sandwich. It honestly is the product of what was left in my fridge! A heavenly and decadent use of the odds and ends in the fridge – now it’s time to get some more groceries! 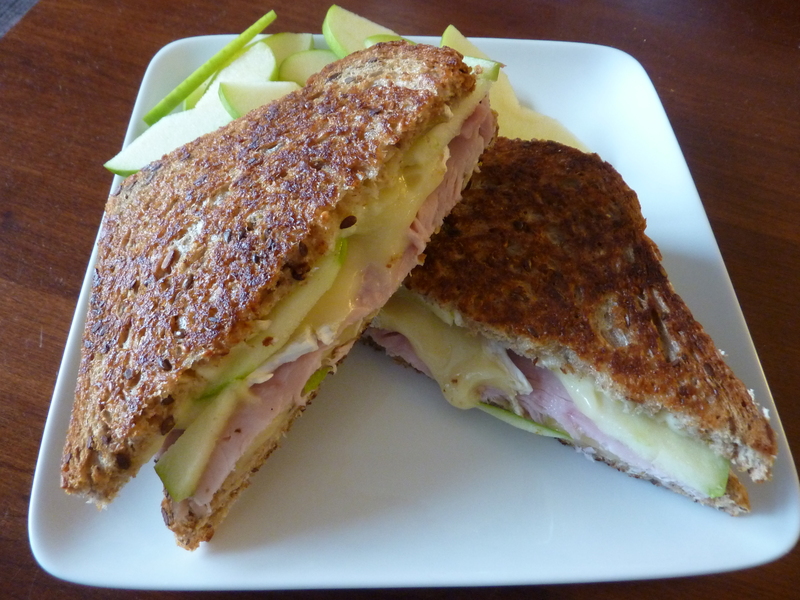 This entry was posted in Culinary Adventures and tagged Apple, Brie, Grilled Cheese, Ham. Bookmark the permalink.